The Rainbow Six US National program will serve as a spotlight for the United States’ best teams and players on PC. The second season will consist of two Conferences – Eastern & Western, where teams will be able to qualify throughout the three stages of competition, all beginning on April 6th. At the end of the program, four teams will qualify to represent their conference at the live finals event. Eight teams will enter but only one will come out victorious and be crowned Team USA! 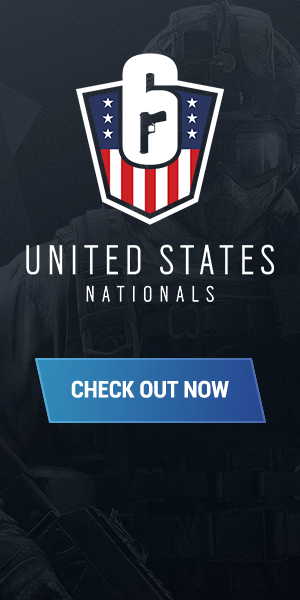 Apply as a Community Caster for the US Nationals here! You are interested in streaming the Qualifiers as a USN Community Caster? Click on the button below to apply as a Community Caster!